An elegant 18ct yellow gold diamond set ring. An ideal gift or wedding band. 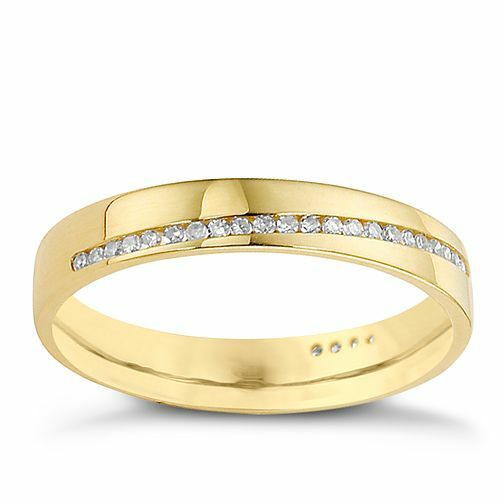 18ct yellow gold & diamond ring is rated 5.0 out of 5 by 4. Rated 5 out of 5 by Anonymous from Beautiful Wedding Ring I brought this ring as my wedding ring, I am so happy with it, it's classic but also very quirky and different! I love it, the quality it is amazing.